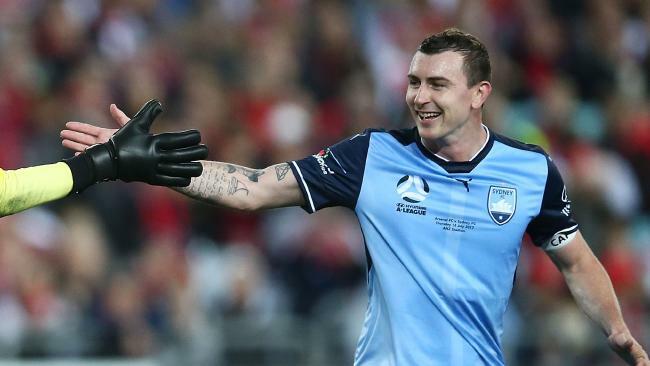 Seb Ryall sensationally walked out on Sydney FC. FOOTBALL: Sydney FC have landed the first of their transfer targets, and coach Graham Arnold hopes at least one more will follow in the next couple of days. 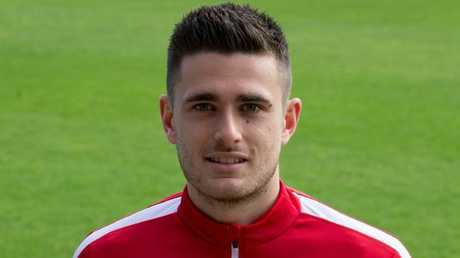 The Sky Blues signed Adelaide United defender Ben Warland 24 hours after an initial bid was rejected by United, with the player making clear he was keen to make the switch. Adelaide chairman Greg Griffin has confirmed Warland is expected to pen a deal on Wednesday afternoon after the 21-year-old defender approached the Reds asking for a transfer. 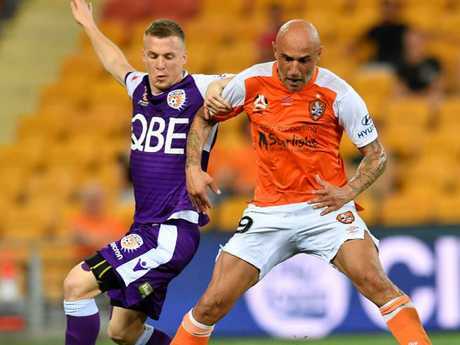 Warland, who replaces Seb Ryall in the squad of his new club, is expected to leave for Sydney immediately with the deal due to be concluded before the Australian transfer closes at midnight Wednesday. "We wanted to keep Ben but he said he wants to go and we won't force him to stay," Griffin said. Ben Warland is set to sign with Sydney FC. "Sydney offered us a young player for Ben but we're very happy with the other locals we have in the squad and we rejected their offer." Arnold earlier said he had "barely slept" on Tuesday as he seeks reinforcements for the rest of the A-League season and the Asian Champions League. Former Adelaide and Mariners winger Fabio Ferreira is still training with the club, and could sign after the window closes as he was a free agent before it opened. "He's one of half a dozen players (being looked at) that are off contract," Arnold said. "We're looking at Asians, so those players would be uncontracted, but we're very positive we'll get a player signed today as well. Jacob Poscoliero (left) is heading home. "I've got to make a few decisions this afternoon after training, sit with (general manager of football) Terry McFlynn and go through what we've got that are real serious. "There's people on the phones all the time. They won't be major signings, but they'll be good signings to strengthen the squad." Meanwhile, the Mariners are expected to sign centreback Jacob Poscoliero, who was released by Perth. It's a return to his first A-League club for the 27-year-old, who only left the Gosford club seven months ago.